At its most basic level, change is a movement out of a current state (how things are today), through a transition state and to a future state (how things will be done). Change happens all around us - at home, in our community and at work. Changes can be internally motivated or externally motivated. The change can be a dramatic departure from what we know or it can be minor. Changes can be anticipated or unexpected. But in all cases, the fundamental nature of change is a movement from the current state through a transition state to a future state. In the change management arena, numerous authors have used various terms to describe these three states, but the notion is nearly universal. Even in other more technical improvement disciplines, the concept can be found - consider the As-Is and the To-Be notions in process redesign work. We are moving to documented and managed processes from ad hoc processes. We are moving to an integrated system from numerous legacy systems. We are merging two organizations. We are introducing a new product to the market. We are introducing new equipment into the manufacturing processes. We are moving to call center specialists from a generalist model. 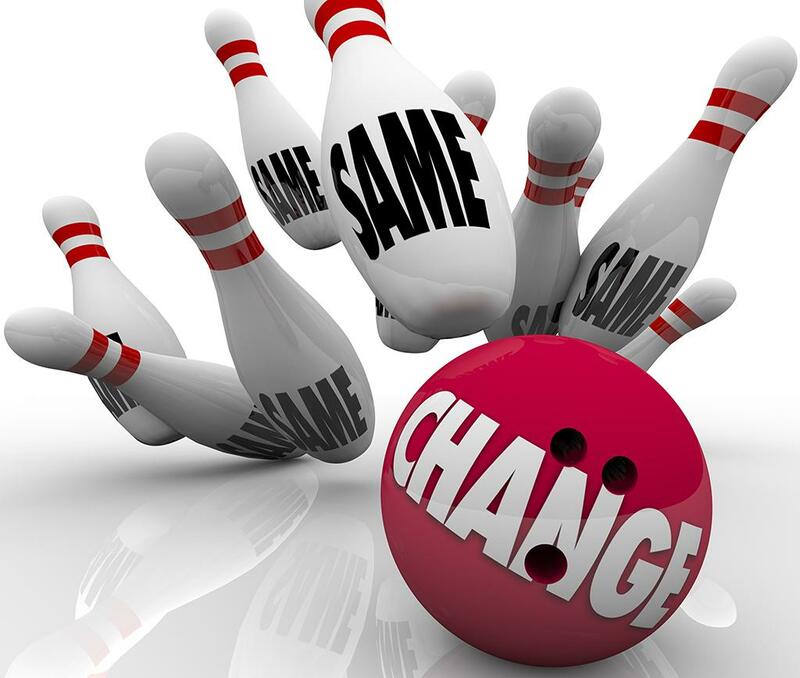 However, every organizational change ultimately has individual impacts - the 10s or 100s or 1000s of employees who have to do their jobs differently when they adopt the solution. This is the role of change management. Change management - ultimately impacts how people do their jobs. The newly documented and managed processes are executed by someone. The new integrated database will be accessed by someone. Employees in the newly merged organization must work differently. The new product will impact how someone does their job. While change is about moving to a future state, change management is about supporting individual employees impacted by the change through their own transitions - from their own current state to their own future state that has been created by the project or initiative. The changes in our organization create new future states for how we operate. To reach those future states, individual employees have to do their jobs differently. The attainment of the organizational future state depends on the success of individuals reaching their own personal future states. Change management is the structured and intentional approach to enabling individual employees to adopt the changes required by projects and initiatives. The underlying point here is that the results and outcomes of a project or initiative are defined by and depend on employees adopting the change, so change management is an essential tool for delivering results and outcomes. Below are several tips for practitioners who may be experiencing the confusion over change and change management. 2) Use the states of change - at both the organizational level and the individual level - as a way to introduce and position change management. Start the conversation about the current state, transition state and future state. And then continue the conversation to focus on individual current states, transition states and future states. 3) Introduce the notion by asking a simple question - Who will have to do their jobs differently as a result of this project or initiative? This is the beginning of the process of segmenting out the impacted groups so you can address them specifically from a change management perspective. By asking and helping answer the question, you are establishing a working relationship with the project team that provides a solid start for your change management work. Once you have effectively positioned change management and shown the scope of your work (namely, the individual employees who will have to do their jobs differently), you are ready to move forward with a structured approach to change management. At Employwise we support such innumerable initiatives for organization sustainability and success.